The book was a disappointing read. He devalued the argument from morality, calling the NAP "recognized rights", which literally means nothing. 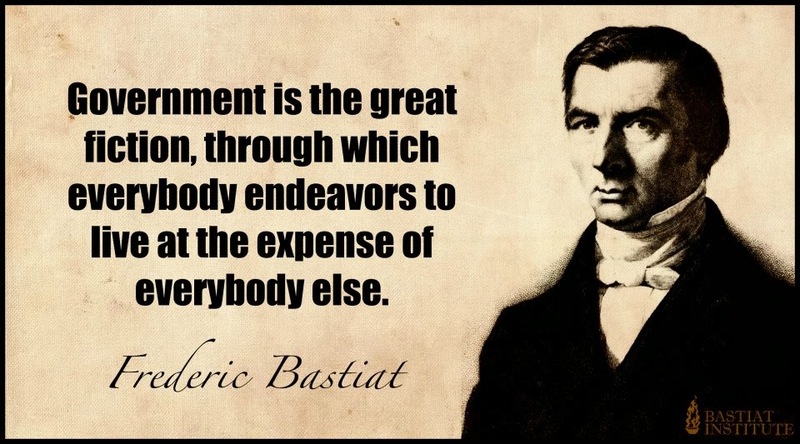 Click above to read more about Frederic Bastiat. And hours of talk about the failures of the State isn't an argument, either! It is useful to understand the evils of the State, in order to fend it off. Yes. But an entire book entailing each horror and act of ignorance, does not disqualify Statism; there is no measurement of a system being insufficient. We can only measure whether a system is logically consistent, and whether it actually represents its users - the people. Sadly, seeing the ignorance & violence in society today, I am hard pressed to claim that contemporary Statist society does not, in actuality, represent the people. A victim is only a victim, until they start willingly cooperate with & support their violator. Then, they the victims become violators, too.